Rent Party for Scott Carrino - at Hubbard Hall. Wednesday, April 24th. 6:00pm - 9:30pm! Missed the party, donations can still be made by Clicking here to donate. Thank you. 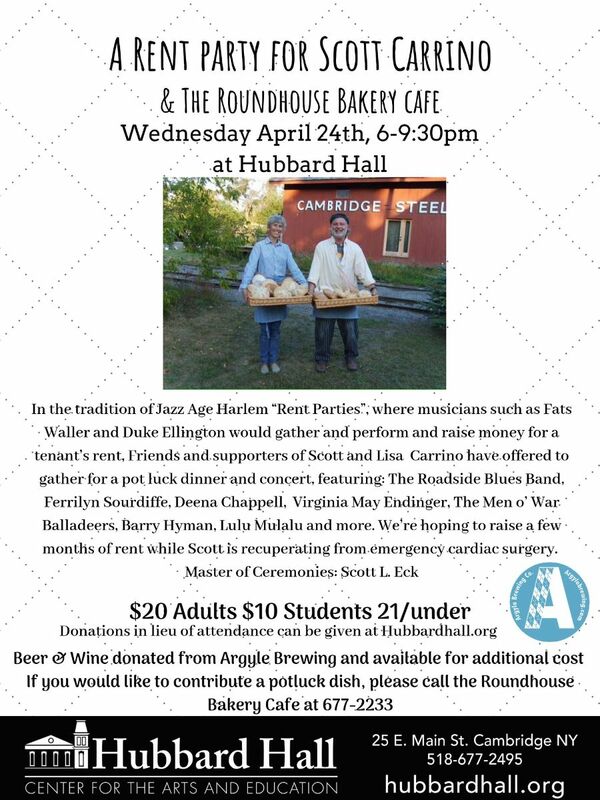 Please note donation receipts will come from Hubbard Hall Projects, Inc. but your donation will be reserved for Scott and Round House Bakery & Cafe. 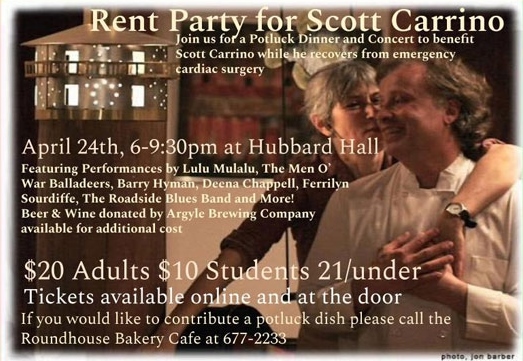 Join us for a Potluck Dinner and Concert to benefit Scott Carrino while he recovers from emergency cardiac surgery. April 24th, 2019, 6:00pm -9:30pm at Hubbard Hall. $20 Adults, $10 Students 21 and under. If you would like to contribute a potluck dish please call the Round House Bakery & Cafe 518-677-2233 or Darcy at Hubbard Hall 518-677-2495.